●본 제품은 건강보조식품이며 의약품이 아닙니다. 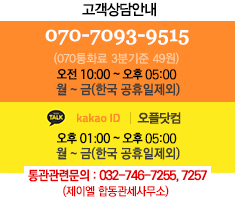 의사처방,처방전을 복용중 또는 임신,수유중이시라면 섭취전 담당의사분과 상담후 섭취를 권장합니다. Nature Made® knows that pregnant and nursing moms have special health needs for the development of their child. That's why Nature Made® offers the first dietary supplement that combines a prenatal multivitamin with DHA in one single softgel. Now, you can simply swallow one single softgel to receive the daily dosage of nutritional support recommended for pregnant and nursing moms. This formula is also optimal for women trying to get pregnant. (1)Scholl TO. Iron status during pregnancy: setting the stage for mother and infant. AM J Clin Nutr. 2005 May;81(5):1218S-1222S. (2)Sing M. essential fatty acids, DHA and human brain. Indian J Pediatr. 2005 Mar;72(3):239-42. (3)Delany C, et al. Folic acid supplement use in the prevention of neural tube defects. Ir Med J. 2011 Jan;104(1):12-5. Calories 10, Total Fat 0.5 g, Total Carbohydrates < 1 g, Vitamin A 4000 I.U. - 50% (100% as Beta Carotene), Vitamin C 100 mg - 167%, Vitamin D3 400 I.U. - 100%, Vitamin E 11 I.U. - 37%, Thiamin 1.5 mg - 88%, Riboflavin 1.7 mg - 85%, Niacin 18 mg - 90%, Vitamin B6 2.6 mg - 104%, Folic Acid 800 mcg - 100%, Vitamin B12 4 mcg - 50%, Calcium 150 mg - 12%, Iron 27 mg - 150%, Zinc 25 mg - 167%, Omega-3 Fatty Acids 228 mg - *, Docosahexaenoic Acid (DHA) 200 mg - *, Eicosapentaenoic Acid (EPA) 28 mg - *. Fish Oil, Calcium Carbonate, Gelatin, Soybean Oil, Ascorbic Acid, Ferrous Fumarate, Water, Glycerin, Zinc Oxide, Niacinamide, Soy Lecithin, dl-Alpha Tocopheryl Acetate, Yellow Beeswax, Titanium Dioxide (artificial color), Pyridoxine Hydrochloride, Thiamin Mononitrate, Beta Carotene, Riboflavin, Red 40, Folic Acid, Yellow 6, Blue 1, Cyanocobalamin, Cod Liver Oil, Vitamin D3 (Cholecalciferol). No Artificial Flavors, No Preservatives, No Yeast or Gluten. Do not use if imprinted seal under cap is broken or missing. keep bottle tightly closed.